The Vatican says the church was reacting appropriately to accusations across western Europe. 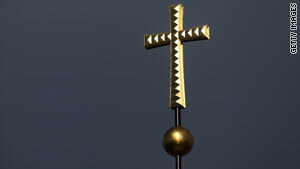 Bishops: "Any form of sexual abuse deserves to be heavily condemned"
(CNN) -- Catholic bishops in the Netherlands have announced an independent investigation into allegations of child abuse by clergy, widening a scandal that touches countries including the United States, Ireland, Germany and Austria. Dutch church leaders "are deeply moved by the gripping accounts of sexual abuse that have come to light in recent days. Any form of sexual abuse deserves to be heavily condemned," the bishops said in a statement Tuesday. The bishops turned to a Protestant politician to lead the inquiry: former education minister Wim Deetman, who is also a former mayor of The Hague, Radio Netherlands Worldwide reported Tuesday. The station broke the story of the alleged abuse of boys by Catholic priests at a boarding school in the Netherlands in the 1960s and 1970s. Hundreds of other reports of abuse flowed in after the story appeared on radio and in the NRC Handelsblad newspaper, Radio Netherlands said. A top Vatican spokesman Tuesday said the church was reacting appropriately to accusations across western Europe. German, Dutch and Austrian bishops' conferences "have demonstrated their desire for transparency and, in a certain sense, accelerated the emergence of the problem by inviting victims to speak out, even when the cases involved date from many years ago," Father Federico Lombardi said in a statement. He signaled that Catholic leaders would be willing to participate in a proposed German "round table" of "the various educational and social organizations in order to consider the question" of how to fight child abuse. While condemning child abuse by Catholic clergy as "particularly reprehensible because of the Church's educational and moral responsibility," Lombardi said the problem was not unique to the church. He also denied that Pope Benedict XVI had compounded the problem with a formal letter he wrote in 2001, before he became pope. The letter is "sometimes improperly cited as the cause of a 'culture of silence,'" Lombardi wrote. He insisted it was in fact "a decisive signal to remind the episcopate of the seriousness of the problem, as well as a real incentive to draw up operational guidelines to face it." Benedict met Irish bishops twice in the past four months, after two damning reports in 2009 into the abuse of children in Catholic institutions there over the course of decades. Four Irish bishops resigned in December. The pope is expected to issue a formal statement, or pastoral letter, about the scandal by Easter, which falls on April 4 this year. CNN's Ben Brumfield in Atlanta, Georgia, and Hada Messia in Rome, Italy, contributed to this report.